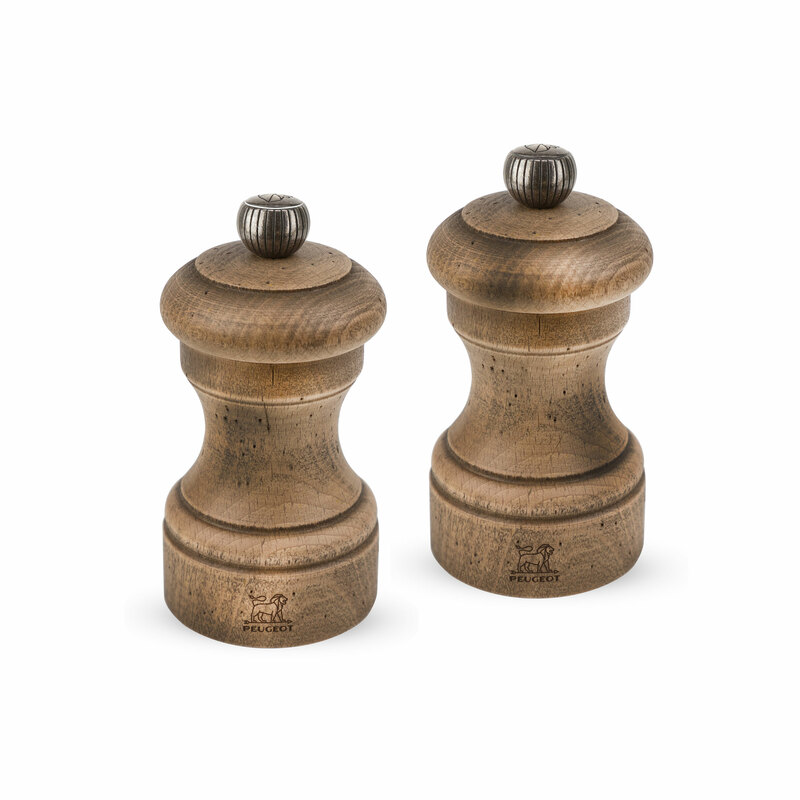 The Peugeot Antique Bistro Salt & Pepper Mill Set provides ultimate flavors for preparing and serving meals. The Peugeot Antique range offers historic pieces nearly two centuries after they were first created. These are objects which have left their mark on history and now available again for the delight of all nostalgia to provide contrast on an ultra modern table. Every mill is a unique hand-crafted piece, a fine example of true mastery of materials. A return to craftsmanship, indeed, with meticulous attention to detail. Peugeot Antique brings some great tableware classics back to life, presented in a special box, complete with booklet. With a decorative style, Bistro is cut from aged beech wood. Simply unscrew the knob and take off the top, fill with salt or peppercorns and screw the top back on. Turn the knob counter-clockwise to grind more coarsely and clockwise to grind more finely. 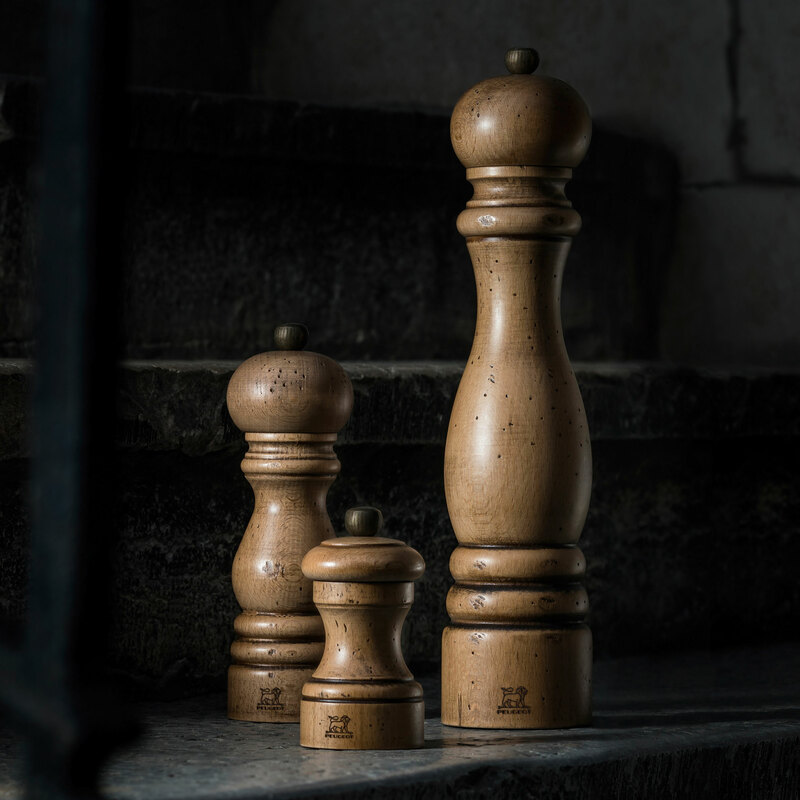 Widely used by many of the world's greatest chefs, Peugeot mills are renowned as the ultimate benchmark in the art of grinding for almost two centuries. 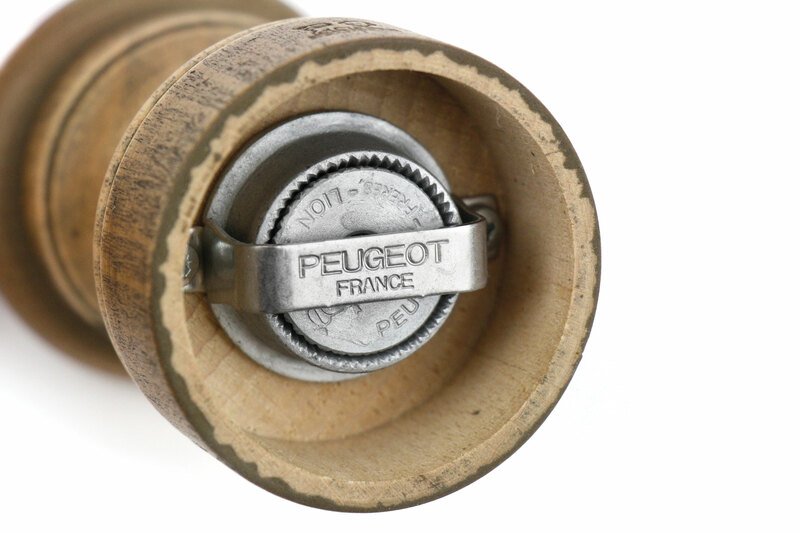 Peugeot's exclusive, patented steel mechanisms, including spice-specific mechanisms for each spice, provides world-famous reliability and unequalled grinding quality. 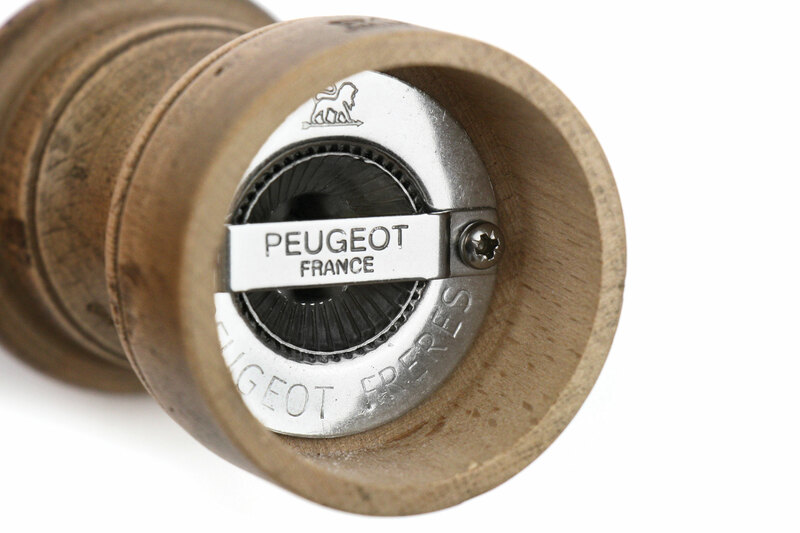 Peugeot mills are designed, developed and assembled in France. All wood used for Peugeot mills comes from PEFC certified European forests. This relentless commitment to quality means Peugeot mills are as perfect for daily meals as they are for most elegant celebrations. Made in France, lifetime warranty for the grinding mechanism, 5-year warranty for the mill. 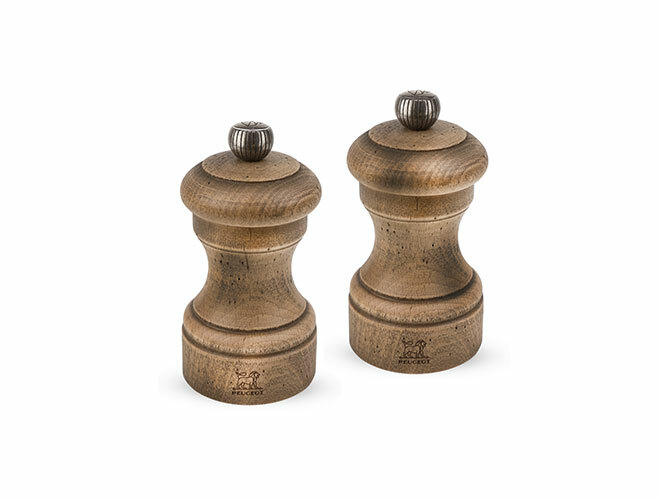 https://www.cutleryandmore.com/peugeot/antique-bistro-salt-pepper-mill-set-p134784 34784 Peugeot Bistro Antique 4-inch Salt & Pepper Mill Set https://cdn.cutleryandmore.com/products/large/34784.jpg 59.9500 USD InStock /Kitchen Tools/Kitchen Tools The Peugeot Antique Bistro Salt & Pepper Mill Set provides ultimate flavors for preparing and serving meals. The Peugeot Antique range offers historic pieces nearly two centuries after they were first created. These are objects which have left their mark on history and now available again for the delight of all nostalgia to provide contrast on an ultra modern table. Every mill is a unique hand-crafted piece, a fine example of true mastery of materials. A return to craftsmanship, indeed, with meticulous attention to detail. Peugeot Antique brings some great tableware classics back to life, presented in a special box, complete with booklet.